Attract attention to any event! 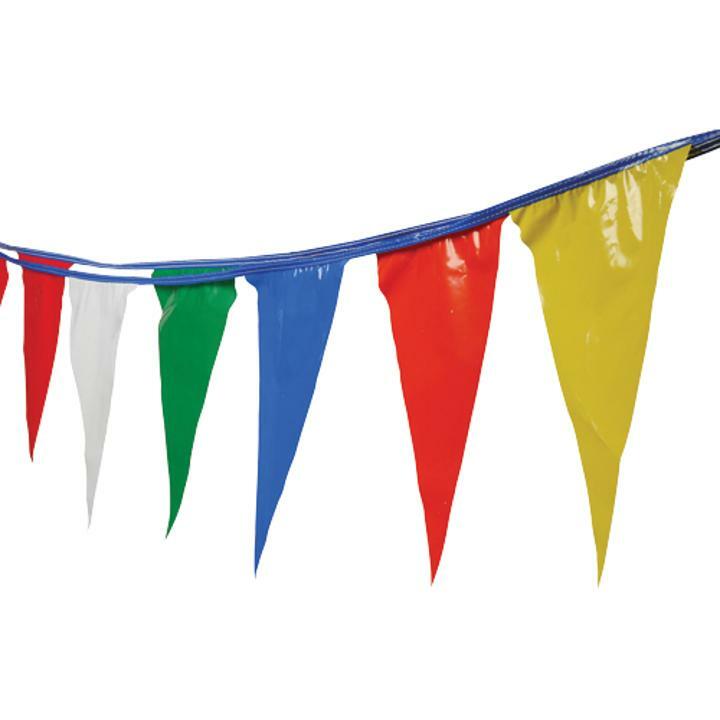 Use this multicolor pennant flag strand to attract attention to an event like a school carnival, garage sale, party and more. Must have for your party supplies. L: 5.95 in. W: 4.75 in. H: 23.7 in.